DUMBARTON failed to find a route to goal and so lost out 1-0 despite a battling performance against Queen of the South at the YOUR Radio FM103 Stadium. 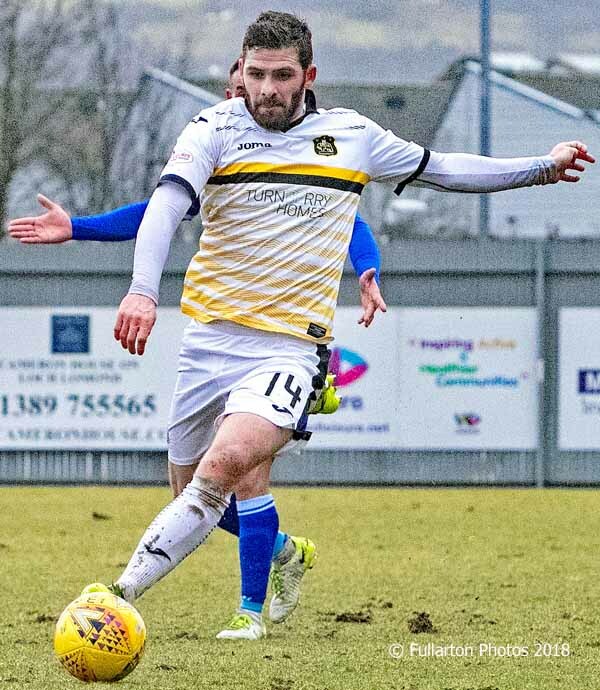 DUMBARTON failed to find a route to goal and so lost out 1-0 despite a battling performance against Queen of the South at the YOUR Radio FM103 Stadium in front of a 642 crowd. In a robust first half of nearly water-logged pitch both sides negotiated the difficult playing surface with direct, gritty, attacking football. There were several chances for both teams, with the respective defences and keepers kept busy and defenders reacting well. At half time it was still even and goalless. Just after the break, however, Queen of the South broke the deadlock and took the lead. On 47 minutes a powerful free-kick from Don Thomas eluded the wall and keeper Scott Gallacher, and found its way into the bottom corner of the next. The tussle continued, but on 64 minutes Sons has a golden chance to equalise when Danny Handling's free-kick on the edge of the area was punched away from the wall — only for Kevin Nisbet to smash the resulting penalty way over the bar. The game continued to move end to end after that defining moment, but neither side was able to add to the score sheet, in spite of another strong but unheeded Sons penalty shout when Liam Burt was scythed down in the penalty box near the end. Pictured is the Sonstrust man of the match, Kyle Hutton.